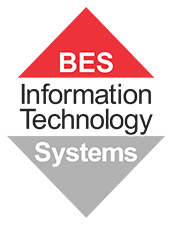 BES IT Systems is a VMware reseller in Brisbane, Queensland. VMware virtualizes computing, from the data center to the cloud to mobile devices, to help customers be more agile, responsive, and profitable. VMware is the pioneer in virtualization and an innovator in cloud and business mobility. It allows you to run, manage, connect and secure applications across clouds and devices in a common operating environment, so you get both freedom and control. Virtualization - is a proven software technology that makes it possible to run multiple operating systems and applications on the same server at the same time. It’s transforming the IT landscape and fundamentally changing the way that people utilize technology. Virtualization Management - simplify and automate your data center with consistent management, intelligent operations, and built-in automation. Cloud Computing - VMware cloud computing services let you run both new and legacy applications in the cloud. You get the best of both worlds: leverage your existing investments while still gaining the agility and cost-effectiveness of a public cloud. Software Defined Data Center - VMware’s Software-Defined Data Center architecture brings together best-in-class compute, storage, networking virtualization and management offerings. We can assist your business with VMware products and solutions! Request a call back by leaving your details below and our local Brisbane-based experts will return your call within 3 business hours.